Taken in 1927. 3 col, 121s, 59 16-4. [stamp]: For duplicates, enlargements apply to Brubaker P.O. Box 3005 Portland, Oregon or permission to reproduce. 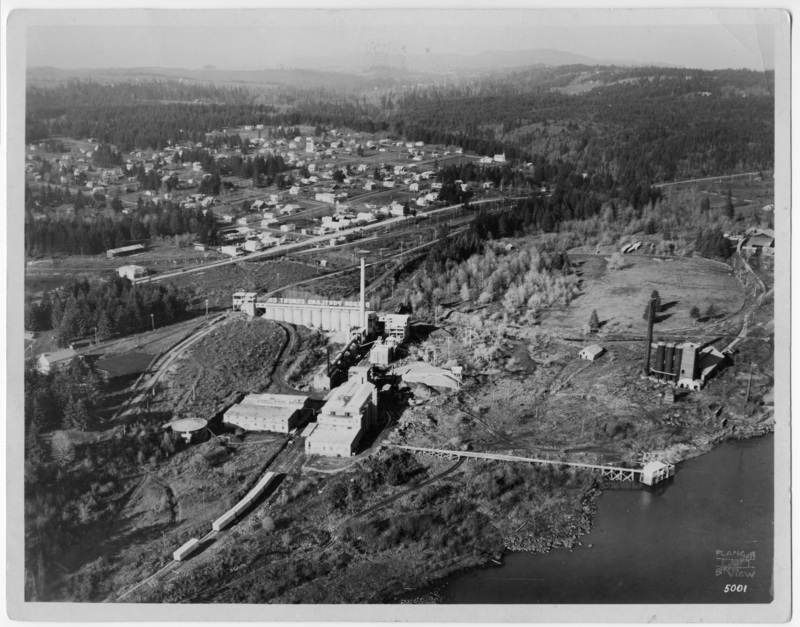 Description Same image as 201a - c. Second iron furnace is to the right of the cement plant; pipe foundry buildings are on far right edge of photo. [printed on front]: Plane View Brubaker 5001. Transcription Taken in 1927. 3 col, 121s, 59 16-4. [stamp]: For duplicates, enlargements apply to Brubaker P.O. Box 3005 Portland, Oregon or permission to reproduce.